Villa ultra clean and spacious and fully equipped for a comfortable stay. private access to the beach and plenty of restaurants and shops in the area. 5 Stars+++++ Tim and Leo are wonderful. Staff is friendly. Views from the sundeck are to die for and it's and a great place to enjoy dining al fresco. Fire pit is awesome. 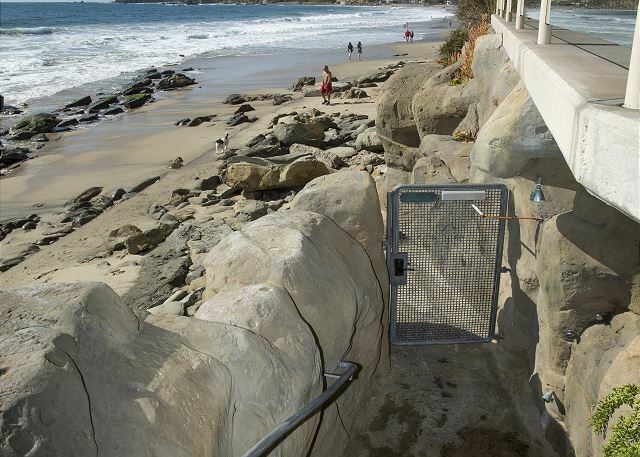 Beach access is super. Beach accessories right there for you. Secured parking spot in garage. Very nice comp laundry area. Steps to grocery store, restaurants and shops. Our villa was beautiful and fully stocked. Our family of 4, including a 14 yr old and a 16 yr old loved everything. We could go on and on. We definitely will be back. We are from MI - wish we were closer so we could take quick weekend getaways. By far one of the best vacations we have ever had!! JoAnn, Thanks for the kind words and wonderful wording of property and surrounding area, this really helps out with potential guest. It was our pleasure and I really enjoyed the cherry rootbeer! A wonderful, too short, week vacation at a wonderful "resort". Peace and quiet. Beautiful scenery and wonderful accomodations. Too short!! The Villa was absolutely beautiful and had everything we needed for our family! We were traveling with our 1 year old son and couldn't have found a better place. The location is also perfect. We parked our car and walked everywhere! Leo and Tim with management were extremely kind and accommodating with anything we needed. My wife and I have been to Laguna many times but had never stayed here before. I can say with certainty that we will be staying here from now on! Thanks Andrew, very kind words and we sure hope to watch your young child grow up and consider Sunset Cove Villas "His' beach house! Sunset Cove's location can't be beat. It's right on the ocean with a great deck; it's private and peaceful and it's within walking distance to all the great restaurants and shops. It wouldn't be summer without our annual trip to Sunset Cove in Laguna Beach! Thanks Melissa and we lok forward seeing all of you in 2018! This was our 2nd time staying at the Villas and we look forward to more trips in the future. The location is unbeatable. Just a few steps to the ocean! The location is in the heart of town and everything is within walking distance. 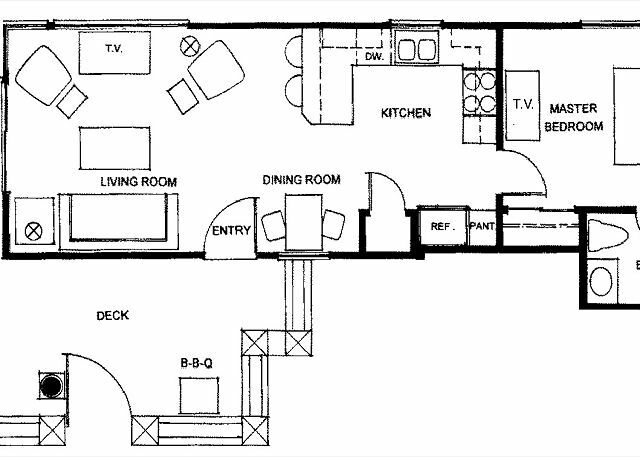 The Lanai unit was beautiful and clean with all the amenities you need. The staff were very nice and helpful. 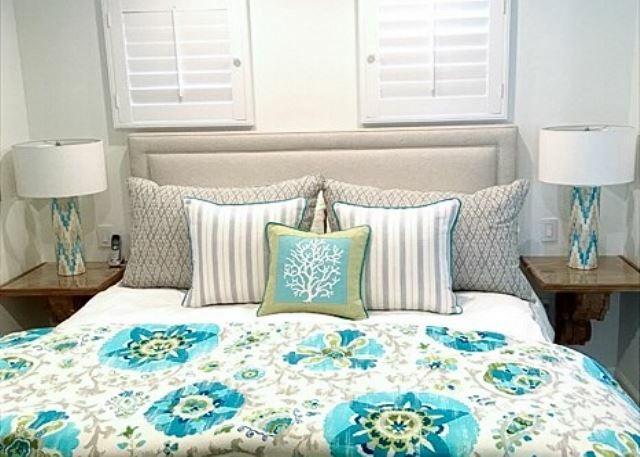 Thanks Jodie, i hope you enjoyed the fresh look in the Lanai villa. Sunset Cove Villas lived up to and beyond our expectations. Villa Lanai was perfect for our needs and the attention to detail in the villa was excellent, everything wa to a very high standard. The location right on the beach and sun deck with unobructed view of the ocean is amazing. Communication with Tim for booking and check-in was seamless right down to Leo waiting for us on arriving at the villas. I must make a special mention of Leo, such a helpful, friendly guy who was always available to give advice and a general chat on any aspect of Laguna Beach. We had a wonderful time at Sunset Cove and cannot recommend the whole set-up highly enough. 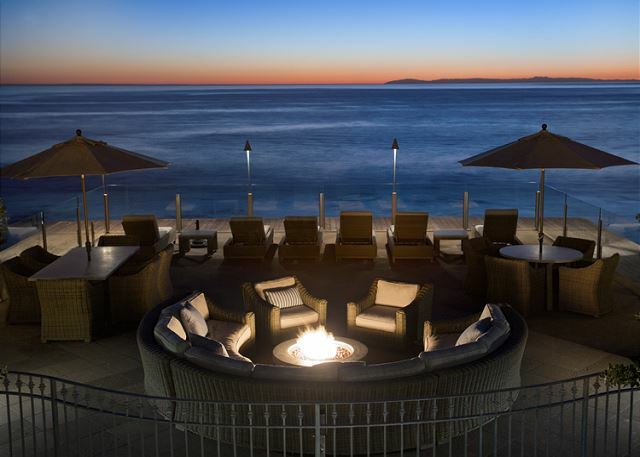 We will definitely stay there again on any future holiday in Laguna Beach. Thanks for everything Tim and Leo. Nicks, SkyLoft, Tommy Bahamas, and the Wyland Gallery. The common area deck is expansive with a handful of luxurious sun loungers, a classy outdoor dining area, and fire pit. It feels like a five-star resort. Not to mention the incredible sunrise and sunset views from the deck and the gentle sound of the ocean if you crack the windows in your unit. The responsiveness of the Property Managers is instant. They provide everything you need for your beach stay - towels, chairs, umbrellas. It was so nice to have a private parking garage. You feel like a multi-millionaire beach property owner in this place. I want to live here for ever. 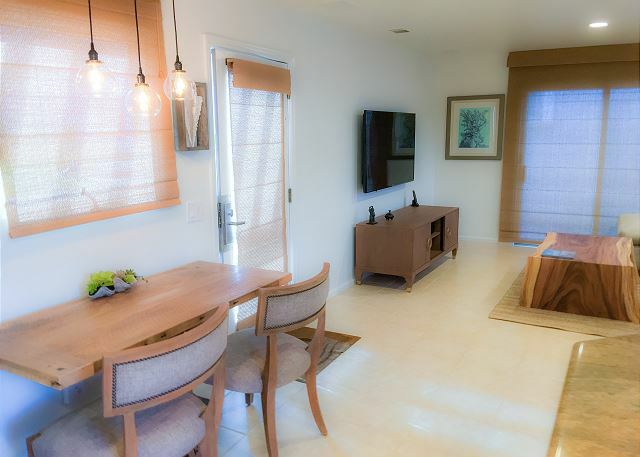 Hi Lindsay- Thank you for a great description of the one bedroom Lanai villa- I really hope this will help travelers. 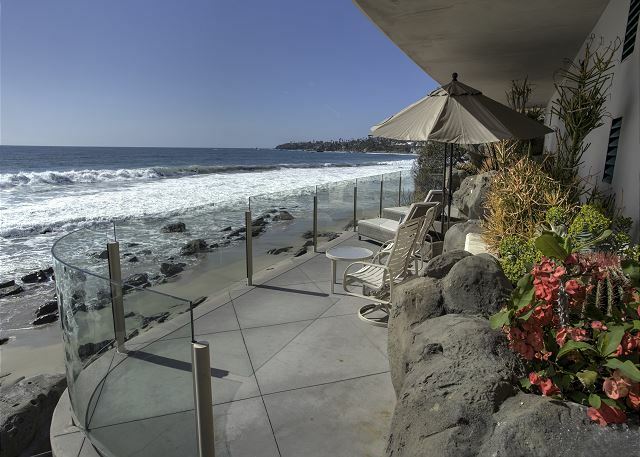 We went to Laguna Beach for my kid's spring break and chose the Lanai villa. It was just perfect! The villa was VERY clean with a wonderfully equipped kitchen. The caretaker Leo was super helpful! We were able to spend the day on the beach, the evening on the beautiful terrace, & check out movies at night on the flat screen Smart TVs! Check in & out went VERY smoothly. It was a perfect stay! Been staying here several weeks every winter for a long time. Wouldn't consider anywhere else. It was a home away from home. I liked that it had a kitchen so I could make breakfast and feel like I had my usual routine in Chicago. My boyfriend loved being so close to the beach. We would spend time in the mornings just staring at the waves. It was a relaxing weekend getaway. We try to spend a week at Sunset Cove Villas every summer. It is our favorite place to relax. The amenities are great. We walk to eat, sit on the beach or just on the fantastic deck if you don't want sand on your feet. The staff is friendly and takes care of your every need. The parking garage is a huge plus. Nothing like the sound of the ocean and those magnificent sunsets to make a new person out of you! Leo and Tim were super friendly and helpful. We didn't need a whole lot from them, but upon our arrival we were tired and kind of lost and Leo helped out big time! As far as Lanai, it was perfect, not too small and very comfortable for my wife and I and my teenaged son. We loved the main deck area (the view is tremendous) and access to the beach. The other vacationers were very nice. I can't say enough other then I want to go back again! The one thing that management doesn't have any control of was the noise-I guess a recycling truck picked up every day at perhaps 6 AM. Every day? Really? Is that necessary? The beeping and large truck noises went on for probably 10 minutes. Annoying, but we didn't let that ruin our fun time staying at Sunset Cove! We have been staying at Sunset Cove Villa for the last few years and always have a wonderful time and love the condos. We have now stayed in two of the rentals and both are charming and comfortable! Great location and convinent to everything for lots of waking ! 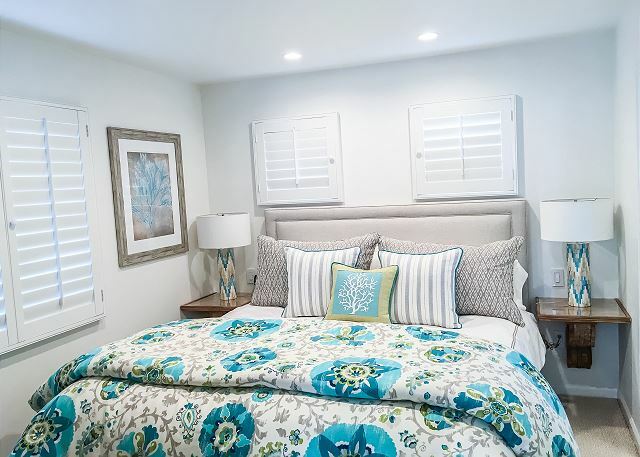 Sunset Cove Villas will now be our go to spot in So Cal! Great location! So much to see and do and perfect for kicking back and doing nothing at all. Great beaches, shops, restaurants, and whale watching from your deck! We had a great stay! Leo was very helpful with everything we needed ! We had a wonderful stay at this first class location. We were so comfortable in this condo! Spacious, clean and best location in town. Walk everywhere! Leo showed us around and was so helpful and friendly. Great facility, location and management. Will definitely come back. 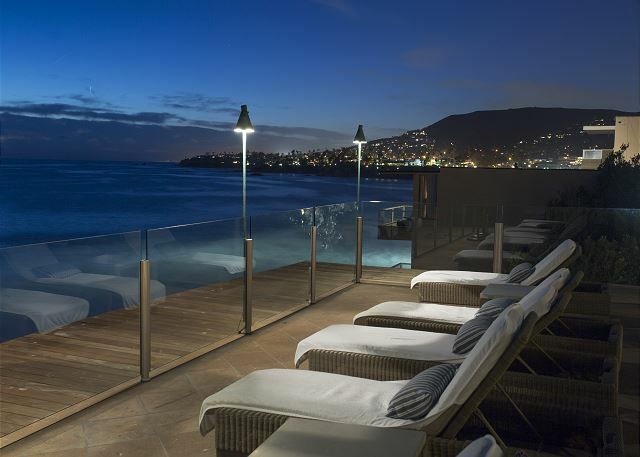 Absolutely perfect spot to relax and enjoy Laguna Beach. we had wonderful time. it was very comfortable and beautiful place and Leo and Nacho both very friendly. Had an amazing time and looking forward to next year. 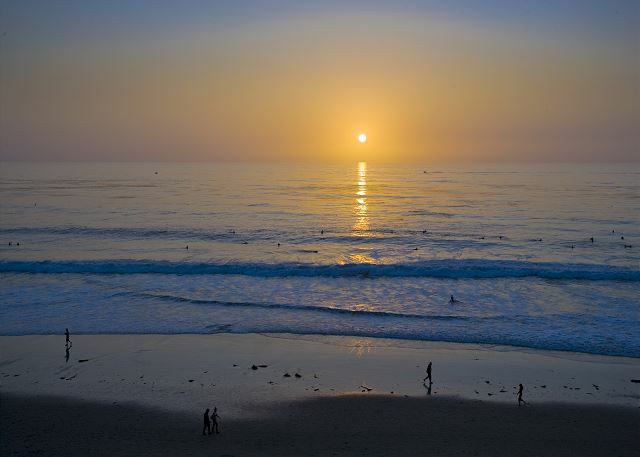 WE look forward all year to our week at Sunset Cove Villas in Laguna Beach, CA. The condo is well appointed and clean. The remodeled front community deck is like a top notch resort. Tim and Leo are very accommodating. The perfect relaxing vacation. As always a wonderful vacation. 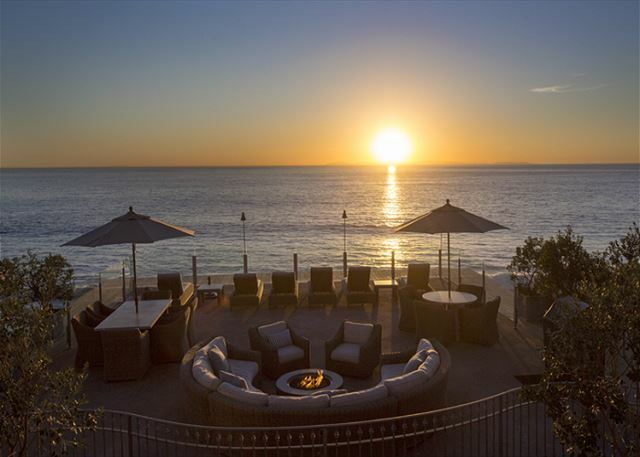 Laguna Beach is of course awesome, but Sunset Cove Villas just makes into something very special. This is our 12th or 14th time at The Villas since 2002 - need we say more ! Not only the accommodation itself but the Management Team led by Tim O'Neil have always been very helpful and friendly ; like Family and certainly our very good friends. Words cannot describe our wonderful stay. The unit was immaculate and every detail was thought of from dishes to beach towels etc. The staff was very helpful from the start, and every need was met. 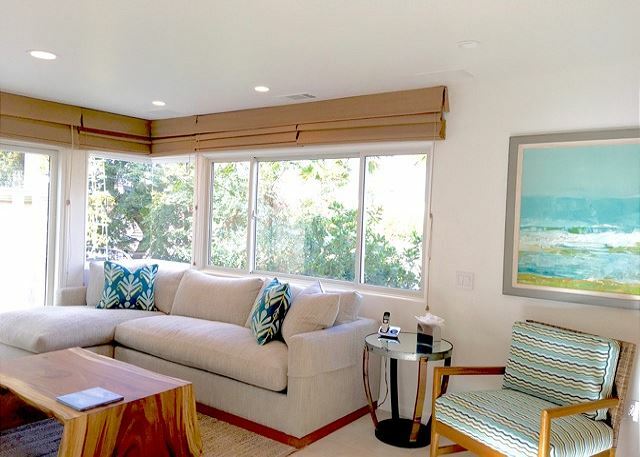 The location was perfect , on the beach and also within walking distance to all the Activities and wonderful restaurants that Laguna beach offers. Nick's and the Cliff were just a couple favorites and we were so lucky to be there during the annual Arts Festival . We would recommend it to anyone but almost want to keep such a such a charming place our secret! Looking forward to coming back next year! Great villa greater location. Plenty of towels and great sunsets. Your own deck to watch the people on the beach. We had such a wonderful week in Laguna. The villa was the perfect location and beautifully decorated. We could not of asked for a more perfect week. And, we love Tim, he is so accommodating to our needs. Will defiantly be back! Management was very helpful and a joy to work with. We came to the area to visit friends and will plan on staying here again. The Villa was fabulous and very clean. It was great to walk a short distance to the beach or town and our teenage boys loved it as well. We spent one day at Universal Studios and another day ferrying to Catalina Island. Our last day we finally got to spend some time in the Villa and on the gorgeous beach. Everything was so easy from start to finish! 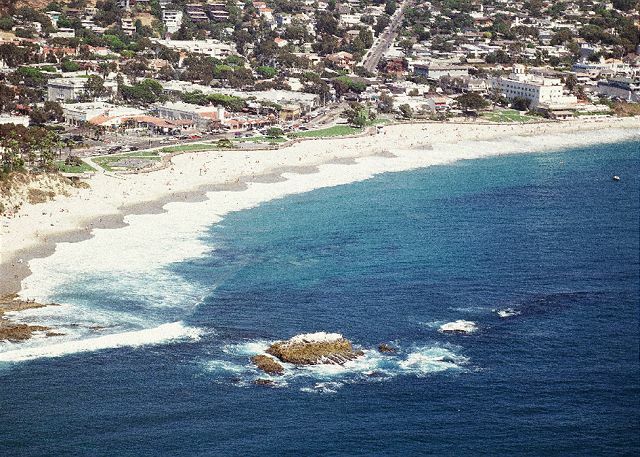 We have found our Laguna destination for future trips. The Villas are in the perfect location, just footsteps from the beach in one direction and great shopping, food, and grocery store in the other direction. The Lanai Villa was great! 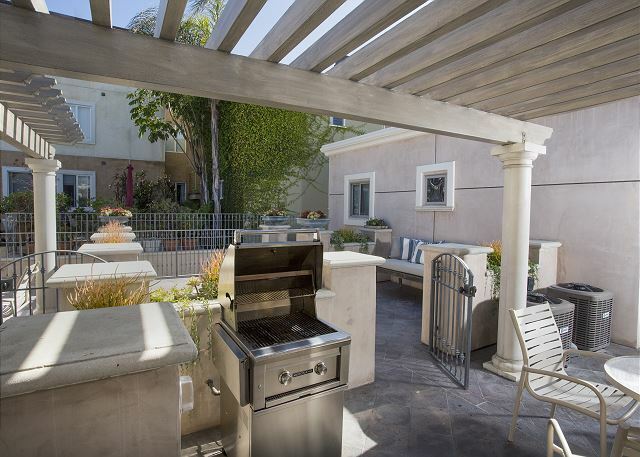 it was nice to be able to cook a full meal in the lovely kitchen and BBQ on the patio. All of the furnishings exceeded our expectations. We can't wait for our next trrip! Our family in the area calls it our beach house. It is a great facility and has wonderful management. In more words: I flew from Massachusetts to spend Thanksgiving with my daughter, a first year student at UC Irvine. We had the perfect time, and felt so comfortable and welcomed. 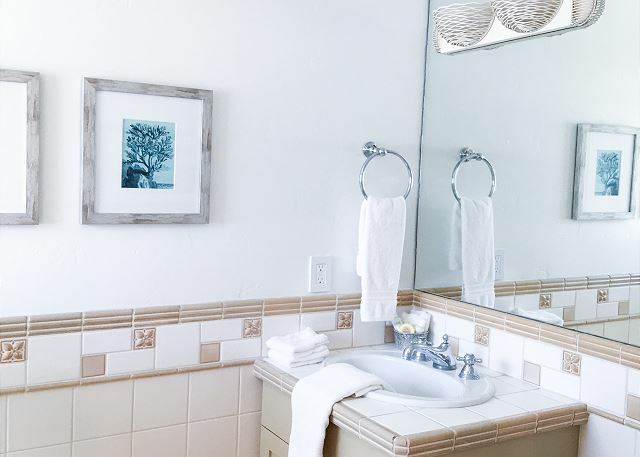 The location could not be better: directly on the beach, an easy walk to the center of town, and a one minute walk to the Orange Inn. We were able to put the car in the garage and forget about it. I highly recommend Sunset Cove Villas! 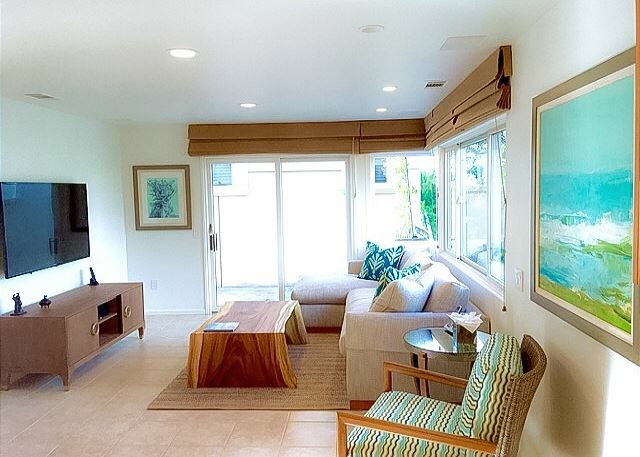 Lanai is a lovely 1-bedroom unit at Sunset Cove Villas in Laguna Beach. Sunset Cove is right on the beach, and very convenient to everything - easy walk to town and restaurants, and grocery store across the street. Our unit was beautifully furnished, bright and airy, and spotlessly clean! Perfect for us for the week. And Tim is extremely helpful. My wife and I stayed in the Lanai villa for a couple of days recently and had an absolutely fantastic time. The location of the villas are incredibly close to the heart of Laguna and directly on one of the best beaches... where you can walk for miles in either direction. Tim, the manager was extremely helpful and welcoming. The entire facility is will maintained. Our room was very clean and updated with great TVs, sound system and kitchen appliances... even a gas BBQ outside on the patio. We will certainly be back! It's very hard to be back once you have found your dreams' house. It is even better than the pictures on the web, the location is great: Laguna Beach is a charming town where you can find art, entertainment, good food and nice shops. Sunset Cove is very well located, just 5 mins walking distance from the main street and literally just few steps from the beach. -Last but not least in the fridge there are tow fresh bottles of water and a bottle of MOET champagne! !Is this enough??? Tim was perfect, efficient, professional and always there if you need him. Thank you Paola- you forgot to mention your route 66 journey! Thanks so much George- look forward seeing you and your bride next summer! Loved location and the cleanness of the unit. Can't wait to go back!! This was our 10th year to use Sunset Cove and we will definitely continue to stay there. Great location. We arrived midweek for six nights and had no housekeeping service during our stay. We were lucky that we happened to see the manager who gave us clean towels. Very nice to have a fully supplied laundry and a garage. Our grill did not work but we were able to use the grill on the main deck. Hi Mary, I must say- very sorry for letting your house keeping slip by and the grill, not sure what happened - seems to be working. I thank you for your feed back to keep us all on our toes but sorry this happened on your stay. 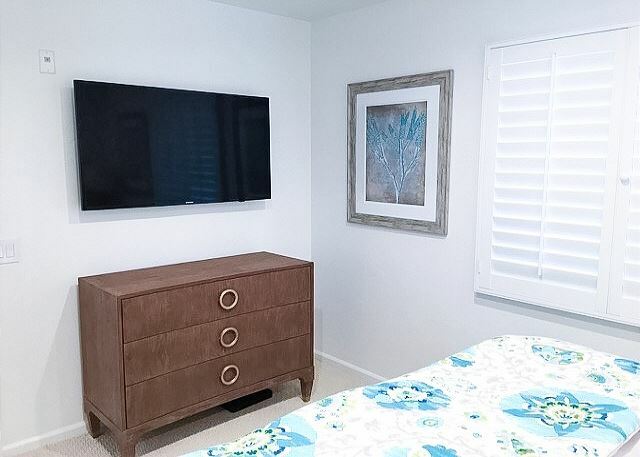 As seasoned travelers, we are very particular about where we stay while on vacation, and our stay at the Lanai Unit of Sunset Villas exceeded our expectations. The unit was clean, the bed was very comfortable, the shower was great, the kitchen was well equipped, and we felt "at home". We walked out to the common patio several nights to take in the glorious sunsets. All the shops and restaurants are within a 10-15 minute walk north but the highlight for us was the walk to and through Heisler Park (which we took 3 times) with its incredible views and ample benches and picnic tables enroute. Both Tim and Peter could not have been more accommodating from the time we booked our unit to the day we checked out. 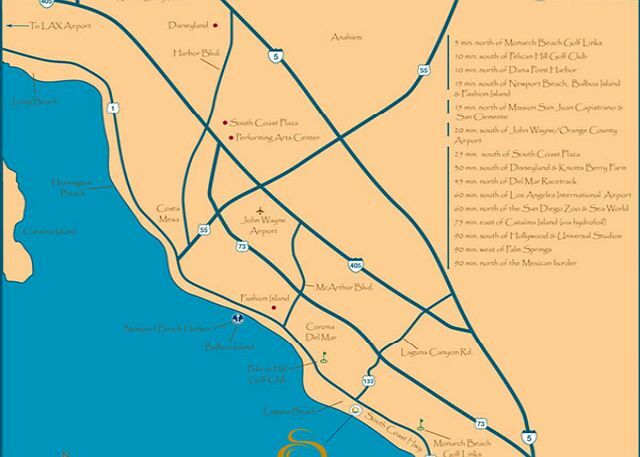 We plan to return to the Laguna Beach area in the future and Sunset Cove easily will be our first choice. From our welcome with champagne, luxury villa, ocean and scenic sunsets, our trip was tremendous. Everything was within a short stroll. The villa was abundant with amenities. Beauty, style and comfort were ours on this trip. Waiting to return. We always love our time at Sunset Cove! 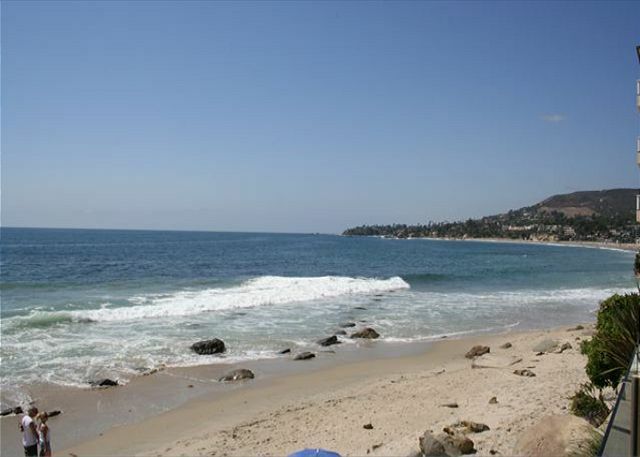 Great location for exploring Laguna and the surrounding communities. We even made two day trips to Disneyland! Unit was very clean and had all of the same amenities as a hotel but were much more spacious! This is a great property with a great location. We really enjoyed our stay. This was our 9th year and I'm sure we will be back next year. The attention from Peter, the on-site person, makes it special and easy to take care of any problems. We ended up staying in the Martinique Villa and we loved it!!! the balcony is right on the ocean!!!! It was my first time staying at Sunset Cove Villas and I really enjoyed staying at there. I will definitely stay there again on my next trip. Perfect location, clean and spacious !! I will come back. excellent trip to Laguna as always with a wonderful place to stay. My parents were in that unit and it was perfect for them. They really enjoyed the stay. We enjoyed the shared courtyard. We hope to visit again next year. My dad could enjoy the beach without actually going down to the sand. 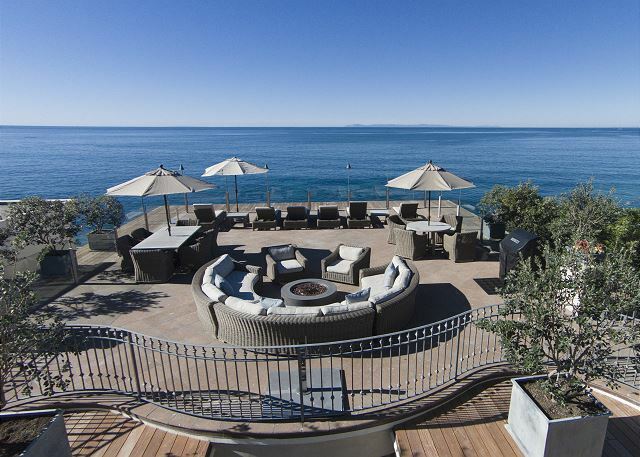 This is just about the best location in laguna. we stayed in the Lanai suite which was spacious and well appointed. Both Tim and Peter are great to deal with and this made the vacation rental details very easy to complete. Thanks for a great holiday and we hope to see you again soon! Again this year, our family occupied 6 of the units for a glorious week. We all enjoyed our individual units while being able to congregate on the deck and barbeque in the evenings. We watched one beautiful sunset after another while enjoying family time. I would have changed anything. Peter is always so helpful. Thanks again for another wonderful time. We have been coming to Laguna Beach for over 20 years now and discovered Sunset Coves approximately 3 years ago. We love the building, it's location and the people who manage the property. 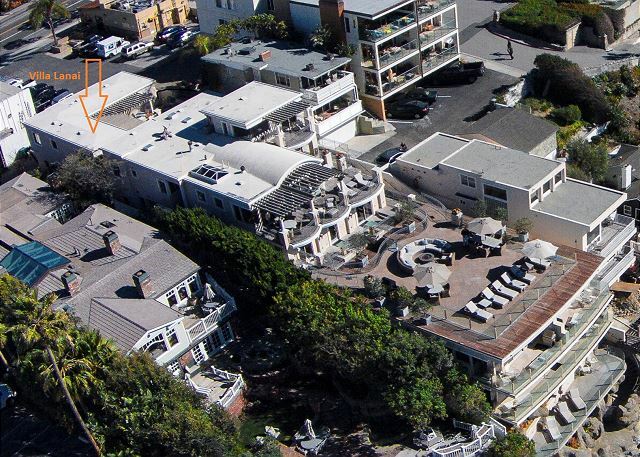 I highly recommend this property to anyone looking for a great location from which to enjoy Laguna Beach. 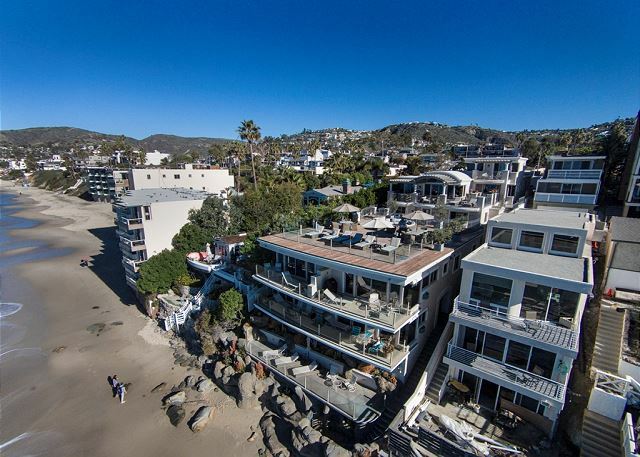 Sunset Cove Villas is the place to be in Laguna! The staff was friendly and accommodating, and the villa was clean and well maintained. We enjoyed our time in Laguna and will definitely be back soon! 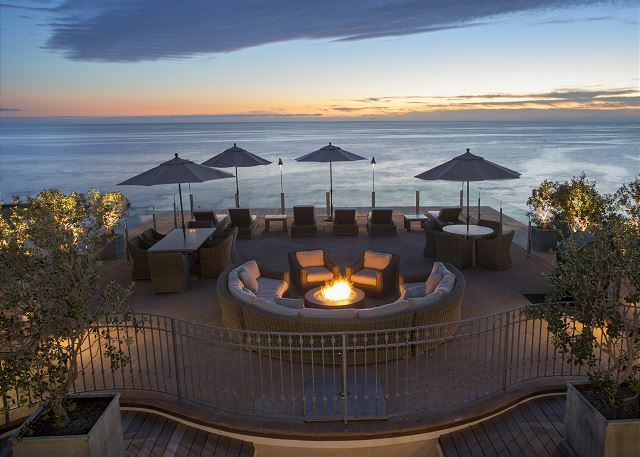 Best place to stay in Laguna. On the water, walk to all Laguna has to offer. 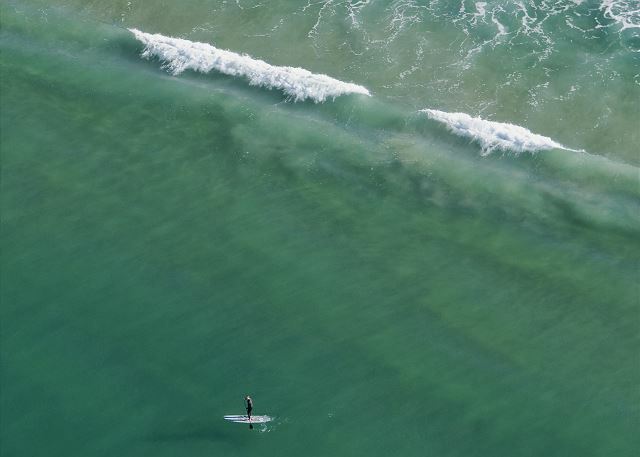 Close to all So Cal destinations, but no reason to leave. 2nd stay can't wait to come back. We always love our stay. Tim is great to work with making the arrangements. Peter is great for the day to day contacts. The furniture in our unit is defintely showing its age and needs some updating.